As summer draws to a close, it seems like I have less and less time to spend in the kitchen. Trying to make the most of those fleeting summer evenings, splashing in the pool, chasing fireflies, and playing hide-and-go-seek are my priority right now. Not cooking. 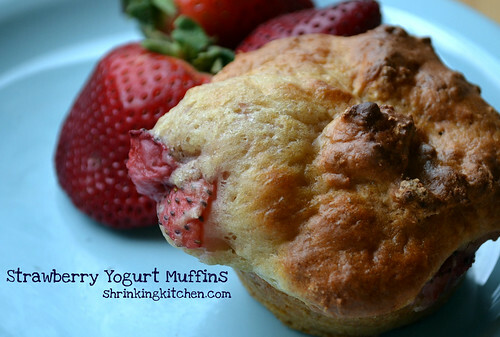 So this week I’m rerunning this fantastic 30-minutes and less healthy menu plan, because I need fast and easy so I can enjoy the rest of summer! 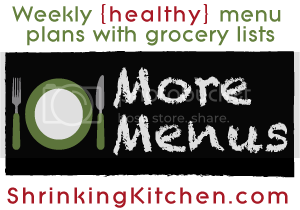 This week’s healthy menu plan features 6 meals + 1 breakfast + snacks and sides that you can have on the table in 30 minutes or less. Enjoy all the extra time you WON’T be spending in the kitchen this week. Monday: Garlicky Meatballs and Pasta. Can’t go wrong there! This recipe sounds DIVINE, and I can’t wait to try it. I plan to make a double batch of meatballs and so we can have meatball sandwiches later this week. 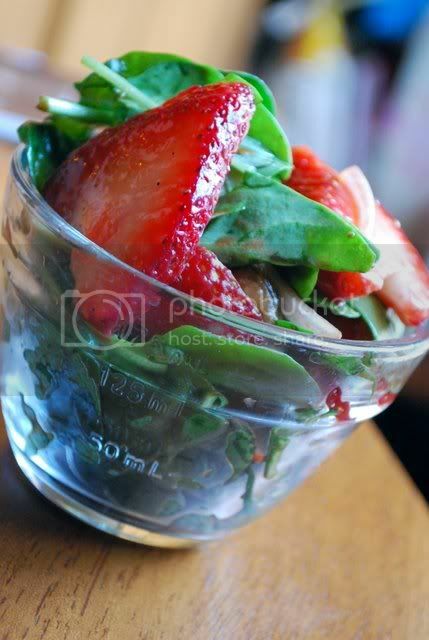 Serve with a super-fresh Strawberry-Basil Salad. 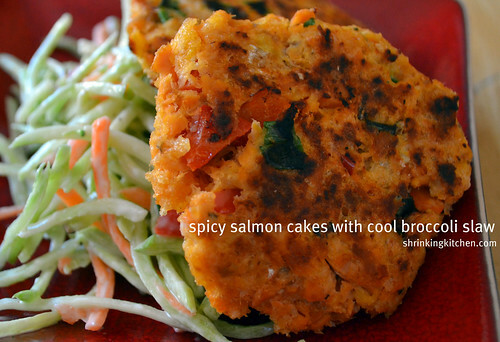 Tuesday: Fish Cakes with Broccoli Slaw – quick, easy, and a little out of the ordinary! Wednesday: Meatball Sandwiches! Stuff those extra meatballs you made on Monday into some hoagie rolls, top with grated Parmesan cheese and thinly sliced onion, and bake until warmed through. 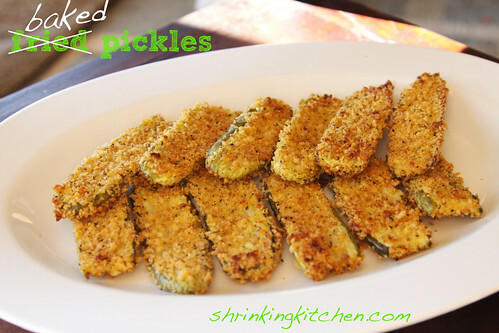 Whip up a batch of Baked ‘Fried’ Pickles for your side dish! Thursday: Skinny Cajun Chicken Penne with a fresh spinach salad with balsamic vinegar and olive oil dressing and some freshly shaved Parmesan cheese. If you have any leftover hoagie rolls, you can heat them and serve sliced with a little olive oil sprinkled freshly ground pepper/dried basil/red pepper flakes for dipping. Friday: GO OUT TO DINNER! You’ve had a long week. 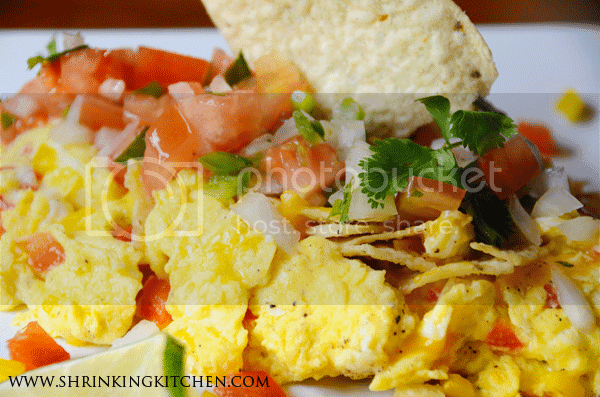 Saturday Breakfast: Migas served with refried beans and warm whole wheat flour tortillas. Sunday: Juicy Parmesan Crusted Baked Chicken served with roasted red peppers and steamed peas. To roast the red peppers, cut top and bottom off peppers, pull out the inside seeds, then stand on end and slice in half, then into vertical strips. Put in a 400˚ preheated oven for about 20-25 minutes or until edges start to blacken a bit. 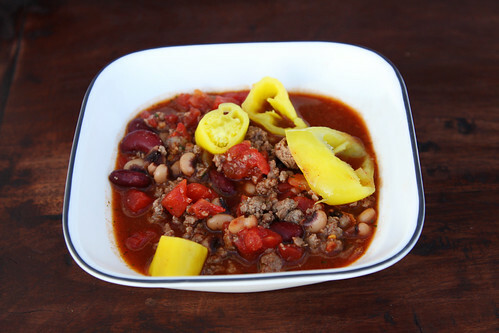 This meal will taste like a meal you spent WAY more than 30 minutes on! 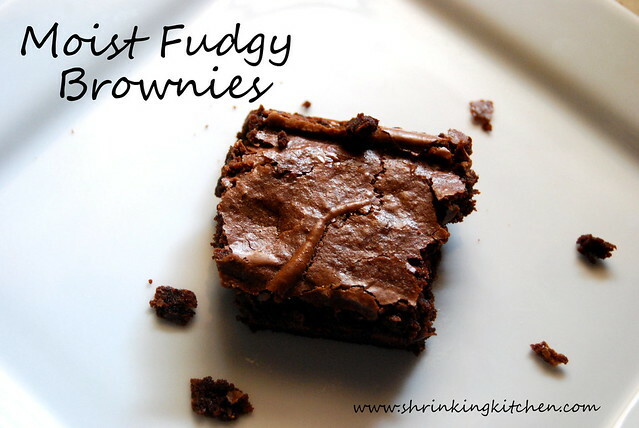 Moist Fudgy Brownies – while they take a little more than 30 minutes, they’re totally worth a little extra work!